Below is part two of my interview with Michelle Morgan – Marilyn Author. If anyone would like further information on her books, please go to www.MichelleMorgan.co.uk. 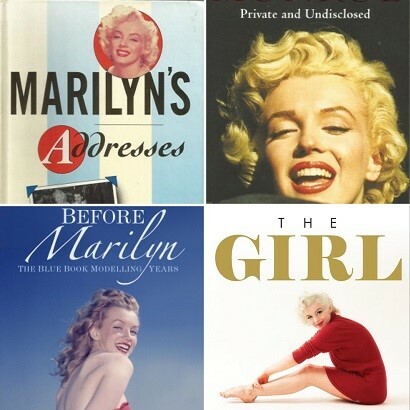 Having studied Marilyn’s life and gone into detail on her Blue Book years and, more recently, her time in Manhattan – What is your favourite period in Marilyn’s life? Funnily enough, the two periods I’ve always been obsessed by, are the Blue Book period and the New York years! I find it really strange and exciting that I’ve been given the opportunity to write about both of these periods. I’ve also always been intrigued by her marriage to Arthur Miller and then the time after her divorce, leading up to her last summer. Maybe the universe will present me with these projects too in the future! Most people would agree that Marilyn was misunderstood, typecast and that “Marilyn Monroe” was all an act – what is your take on that and do you think if she was alive today she would have been appreciated more? She was definitely misunderstood and extremely underrated. I talk a lot about this in the new book – ‘The Girl’ – and really fight her corner to present a woman who was brave, talented, intelligent and full of plans. I like to think that if she was alive today, she would be appreciated more. Certainly I don’t think people could have laughed at her for starting her own production company, since so many are now doing that. Of course she was one of the first, but rarely gets any credit for that at all. The juxtaposition of Marilyn was the ditzy blonde we saw on screen versus the woman standing up to the studio, walking away from contracts, setting up her own production company and attending the Actors Studio – do you think Marilyn gets the credit she deserves for being the trailblazer for women’s rights that she was? She has had very little credit for being a trailblazer for women, and that is really why ‘The Girl’ was written. In this book I not only write about this myself, but I’ve also asked other women to give their opinions too. You’ll have to wait until May 2018 to find out what they say, though! What relevance do you think Marilyn holds in today’s society? I think she has a great deal of relevance in today’s society. She had courage, she spoke out, she fought for what she believed in, she inspired others, she was kind, she was generous, she was always searching for answers and she was determined. These are all qualities we still need today. In fact if I’m honest I’d say that we need them now, more than ever!